I only wanted one dog. A Belgian Shepard. His name? “Killer.” Because our Ford Ranger’s security alarm had gone off one night, we thought it was time to bring in a canine for security. 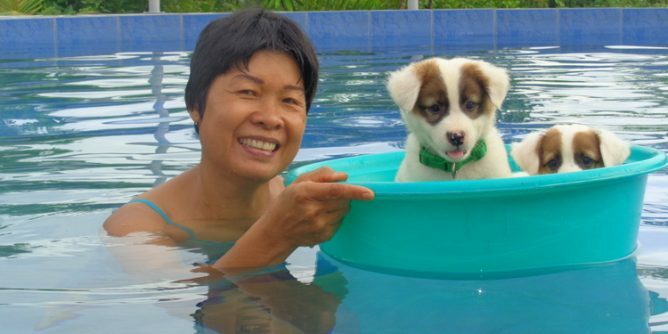 We live on three acres in Guimaras, a rural province in the Philippines. 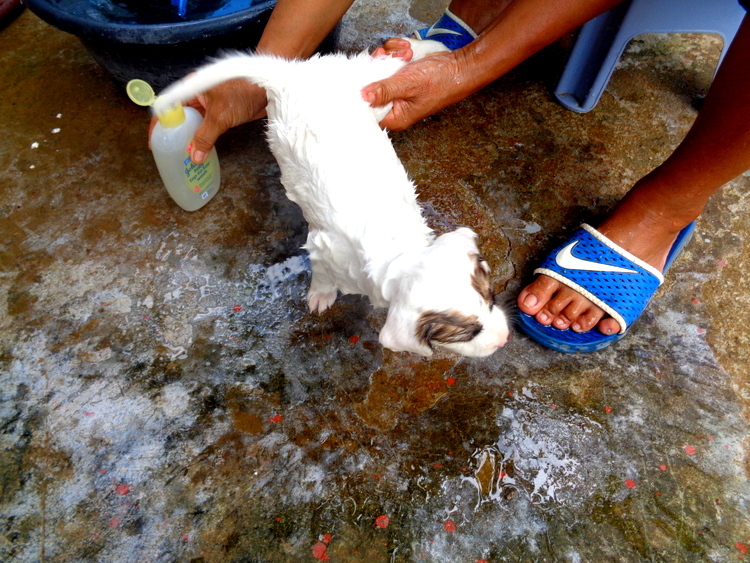 While Guimaras is generally a peaceful place, it has its share of scofflaws like any other place. As a result, the search was on for a Belgian Shepard. I wanted a dog that would strike fear into any potential intruder. Consequently, when my loving wife showed up with a mixed breed newborn female she obtained from a neighbor, I wasn’t very pleased. 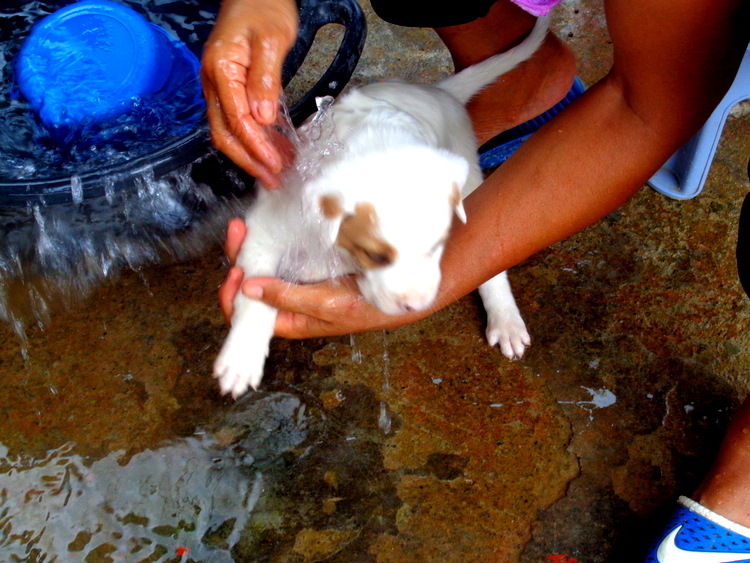 The little mutt, while adorable, wasn’t big enough to protect us from an anthill, let alone potential intruders. 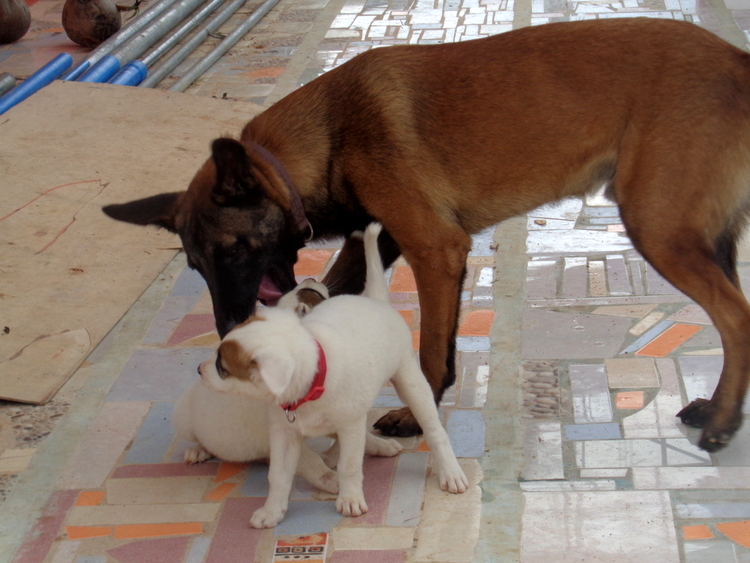 However, within a couple of days, another pup was delivered to our doorstep by my spouse. 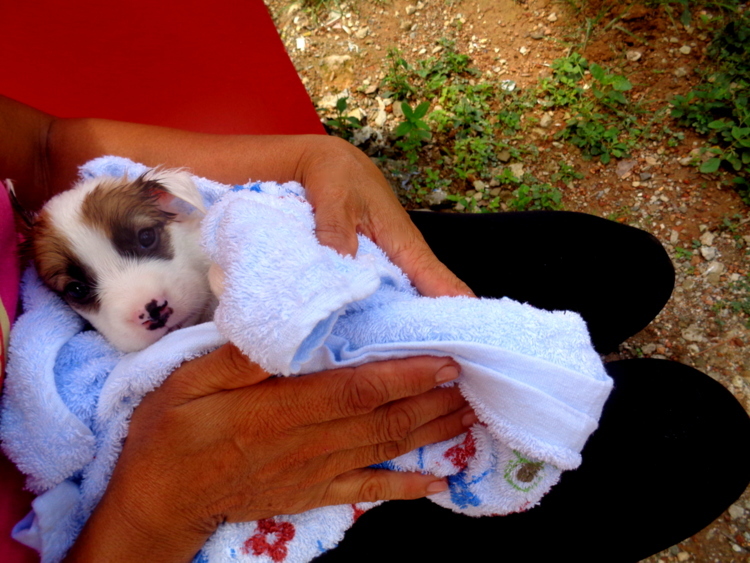 This time the pooch was a newborn pup. Another neighbor. Several months later, we finally obtained the dog that I wanted from a local vet. He set us back 12,000 pesos, 240 US dollars. I named him “Killer,” of course. He was a handsome, little Belgian Shepard only six weeks old. 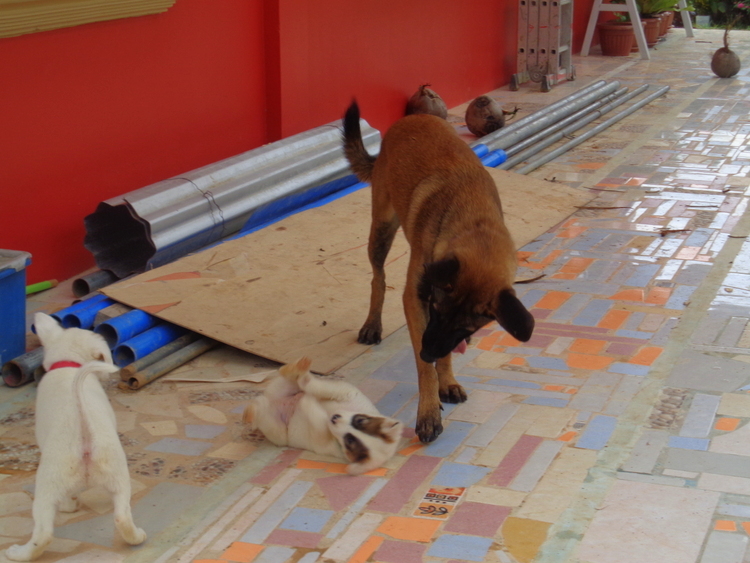 “Cindy” and “Princey” boy eventually had a romantic relationship and produced five more puppies. 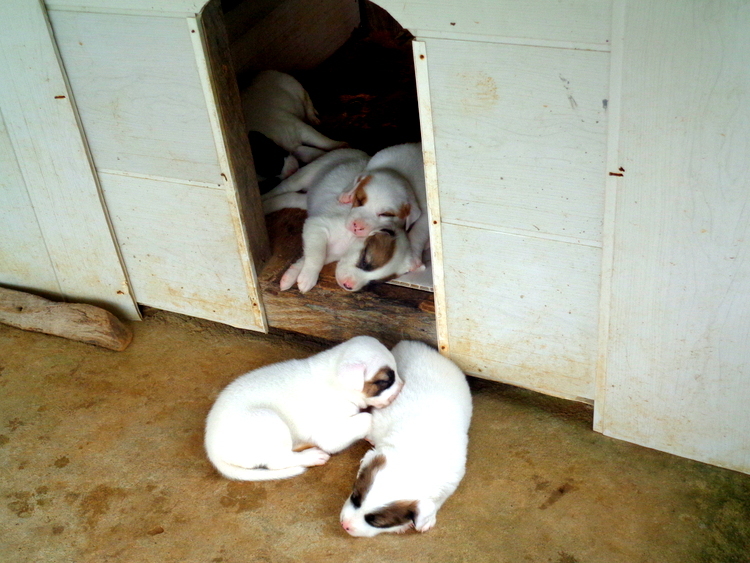 We had our local veterinarian perform operations on Cinderella and Prince to prevent any more litters of puppies. 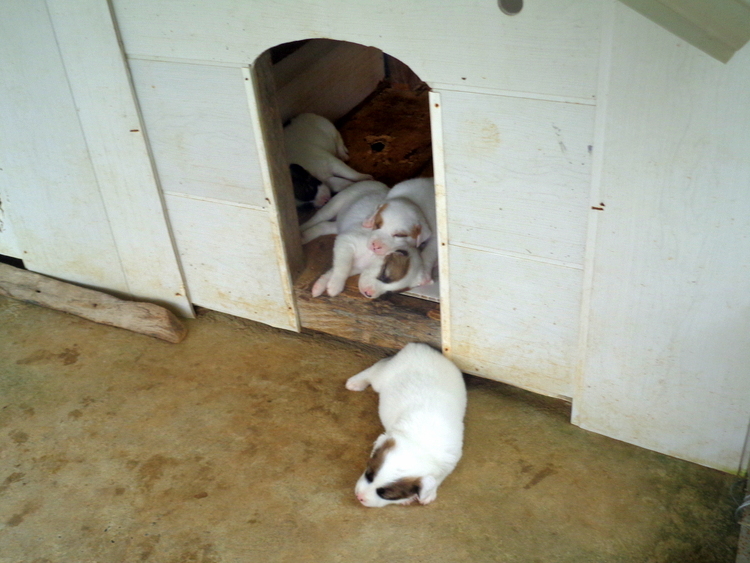 Once the other five pups were old enough, our vet performed the necessary surgeries on that group. Eight is enough. 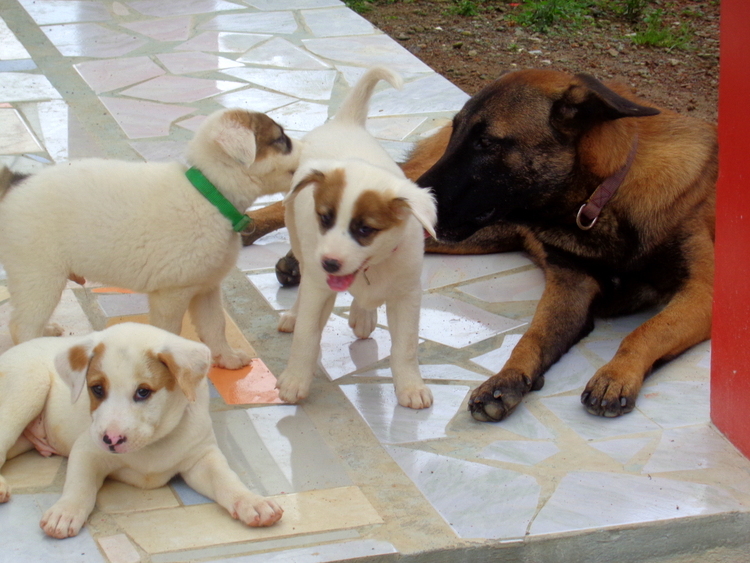 The young pups, Squeaky, Patch Patch, Ella, Priscella (a combination of Prince and Cinderella suggested by our young niece and nephew), and Bandit Boy. 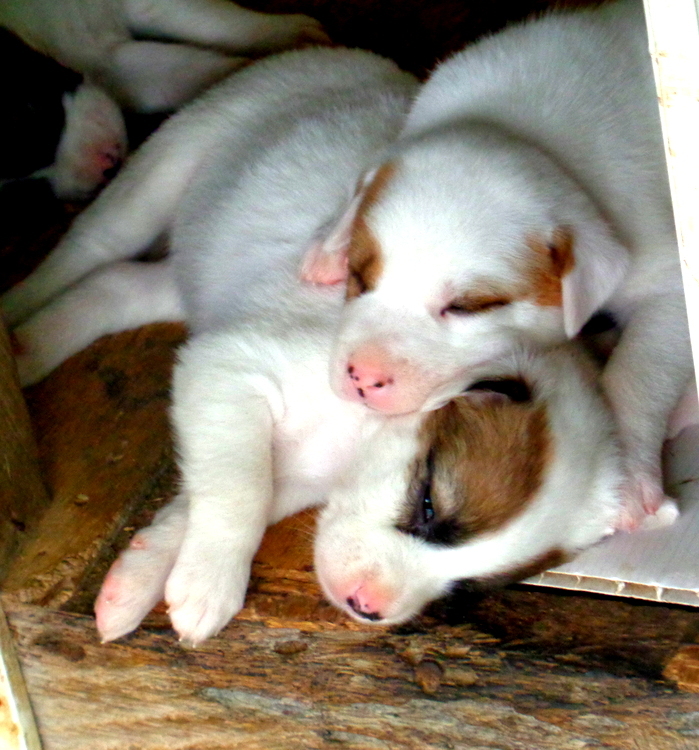 Puppies in the Philippines. You gotta love ’em!